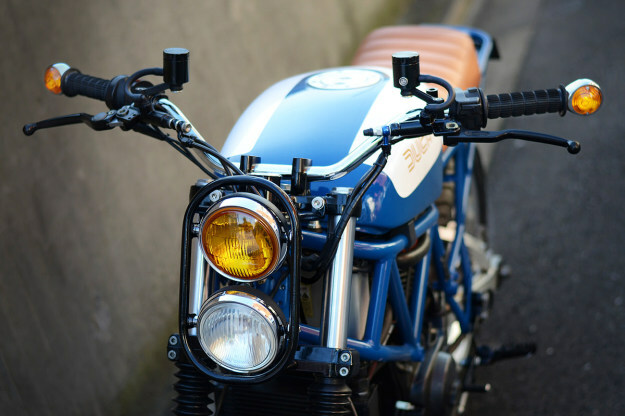 In the motorcycling world, all eyes are on Ducati at the moment, with the new Scrambler going on sale in January 2015. 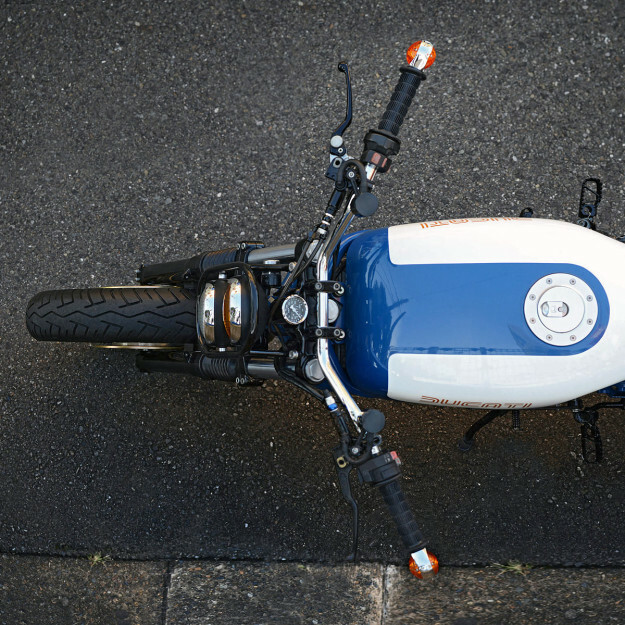 So we perked up when we heard about another Ducati Scrambler—from Speedtractor, one of our favorite Japanese builders. 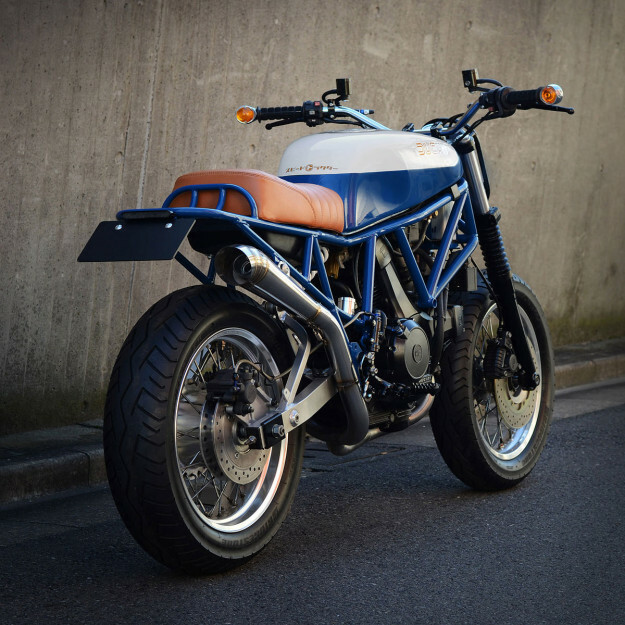 It’s based on a 1988 Ducati 750 Sport. Which means if the Bologna factory had decided to build a scrambler 25 years ago, this is probably what it would have looked like. The first choice was a twin shock Pantah—but these now command high prices, and are becoming collector’s items in Japan. 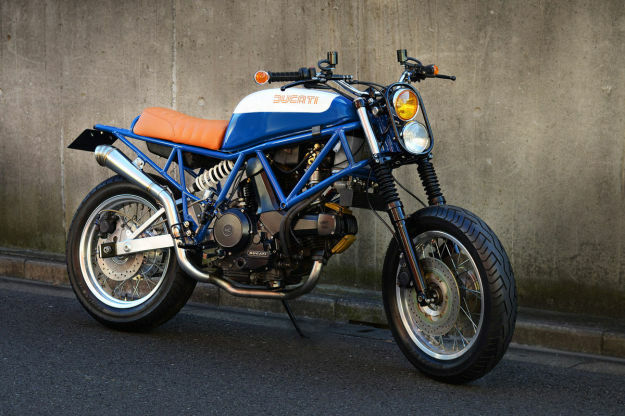 So attention shifted forward a few years in the Ducati line up, to the 750 Sport. Speedtractor stripped the Ducati down to the bare engine and frame, and started sketching out concepts. The 16-inch alloy rims were ditched in favor of spoked wheels, which meant machining work on the hubs, the brake caliper hangers and the rims—just to get the right period feel. Up front is a 17-inch Akront rim, with twin discs and a Brembo caliper set up. 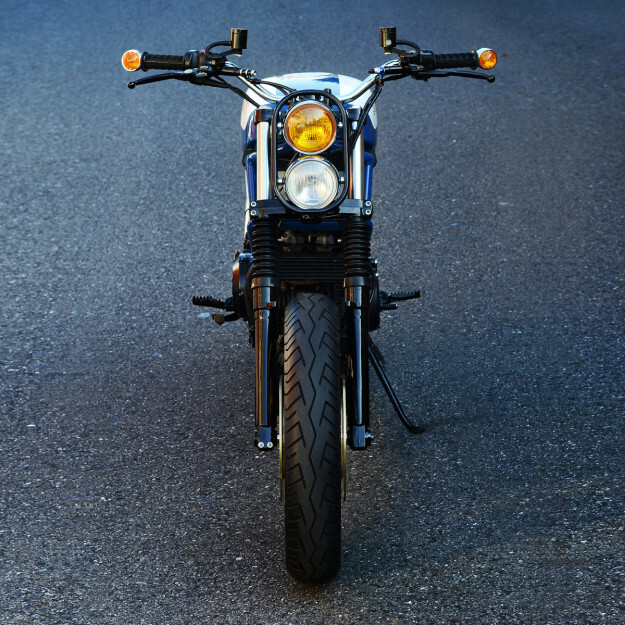 The rear 17-inch is a bespoke mix of components massaged to fit the alloy swing arm. The visual language on these late 80s Ducatis is quite rectangular. It’s a factor that Speedtractor had to respect, to keep the finished product looking cohesive—especially when modifying the rear sub-frame to shorten the stance. 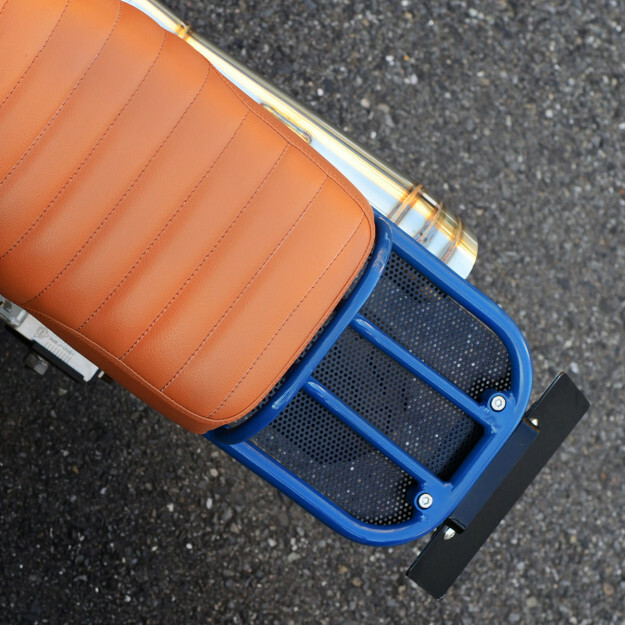 The new single seat and tail rack helped with this, and allows luggage to fit securely rather than perching on the seat or rear guard. The electrics are now all under the tank and seat. Wide bars and revised foot controls pitch the ergonomics closer to a Honda XR650 than the race-oriented stance of the original 750 Sport. A one-off stainless 2-into-1 pipe follows the lines of the frame, and a WP monoshock boosts ride height at the rear. Speedtractor are refreshingly realistic about the Scrambler’s true off-road capacilities. “You can ride to allow for the moderate suspension travel on rough surfaces. But there’s no quick fix for the limited steering lock, due to the broad trellis frame,” says Matt.